Skytron’s lightweight utility carrier arms feature dual arm set(s) and up to two light heads from a single ceiling-mounted hub. Contact us for your quote. 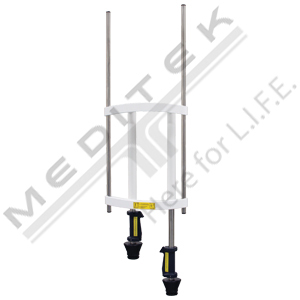 Skytron lightweight utility carrier arms are designed to support up to four flat screen displays, x-ray shields, mini utility boxes or other medical devices. 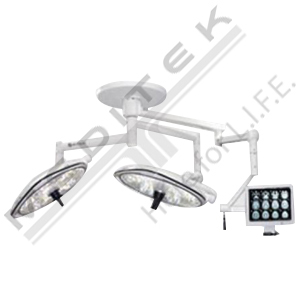 The arms feature greater capacity than standard display arms that often accompany surgical lights. 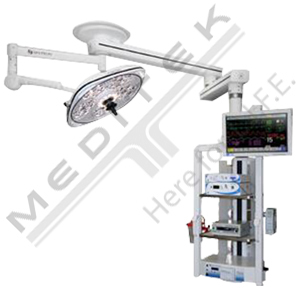 This simple and cost-effective solution is ideal for healthcare facilities looking to add multiple components to their surgical light configuration. 415-0000-0462 LC2AF_/Lights: Lightweight mount with dual arm system on one hub for flatscreen mount Yes 51" 35.5" Flatscreen mounting bracket & power cord(s)required (priced separately). LC2ALF_/Lights Lightweight mount system with two arm sets on one hub for flatscreen mount Yes 51" 35.5" Flatscreen mounting bracket & power cord(s)required (priced separately). 415-0000-0466 LCT2AF_/2AF_/Lights: Lightweight mount system with two arm sets on one hub for flatscreen mounts Yes 59"/35.5" 51"/35.5" 2 Flatscreen mounting bracket & power cord(s)required (priced separately). 415-0000-0463 LC2AF_/NL: Lightweight mount with dual arm system on one hub for flatscreen mount No 51" 35.5" Flatscreen mounting bracket & power cord(s)required (priced separately). 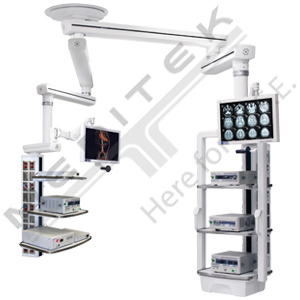 415-0000-0465 LC2ALF_/ NL: Lightweight mount with dual arm system on one hub for flatscreen mount No 59" 35.5" Flatscreen mounting bracket & power cord(s)required (priced separately). 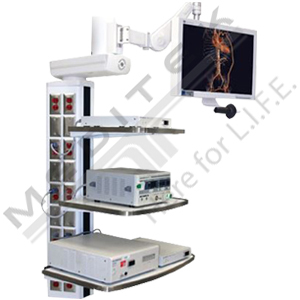 415-0000-0467 LCT2AF_/2AF_/NL: Lightweight mount system with two arm sets on one hub for flatscreen mounts No 59"/35.5" 51"/35.5" 2 Flatscreen mounting bracket & power cord(s)required (priced separately).